Metal roofing is a roofing system that encompasses metal materials like galvanized steel, copper, and aluminum. These materials have been tested in the laboratory, and they provide a reliable solution for many purposes, including the ones detailed below. As a result, you would find this roof in many public and private organizations. Therefore, it is important to gain the knowledge related to the advantages and benefits that a metal roof can be bring for commercial roofing in Fort Worth, TX. Air conditioning costs are one of the prime burdens when it comes to commercial structures. To create a cozy and comfortable environment, for both the employees and customers, air conditioning is important. However, their cost is too high, which makes it difficult for the businesses to afford it. Some roofs absorb heat, which leads to the increase of temperature in a building. However, with metal roofs, these costs can be addressed. Metal roofs serve as cool roofs, which mean that they negate heat and assist in the reduction of temperature in a commercial structure. Metal roofs are also able to release heat quicker on the cloudy days. These factors work together and reduce the cost of air conditioning. Moreover, if the metal roofs are painted in a light color, further cooling can be achieved. Therefore, you should hurry up and contact a reliable professional for commercial roofing in Fort Worth, TX. Costs are an important factor while deciding about commercial roofing in Fort Worth, TX. Research indicates that metal roofs have a service lifespan of 40 years, while other roofs can last for 20-30 years. Moreover, recent research has also illustrated the fact that the per square foot cost of metal roof in a year can touch 30 cents, while other roofing materials may cost twice as much. These roofs are of high quality and are resistant to extreme weathers. Roofs are not energy-efficient. A building’s heating and cooling is often lost because of the roof. These losses can be controlled with the installation of proper metal roofs so the inner parts of a building can reach optimum temperatures. Luckily, metal roofs make way for an energy-efficient solution. People, when buying equipments, opt for energy efficient appliances so that they can save costs. Similarly, Energy-efficient roofs help to minimize costs by conservation of energy, which can help to limit expenses that are incurred in the bills. Moreover, in line with recent regulations, energy-efficient roofs are not just a desirable option but are becoming a necessity. Furthermore, the added insulation in a metal roof can further nullify energy losses. This will also meet all the regulations. Hence, you can save your budget and increase your savings by hiring a professional for metal commercial roofing in Fort Worth, TX. The presence of energy-efficient roofs not only provides a lighter burden on your wallet, but it also gives a boost to your property’s worth. While managing a commercial structure, one of the major concerns is the value that it can generate for resale or rent purposes. In the real estate industry, many agents are able to ask for higher prices and rents for buildings that have an energy-efficient metal roof. Moreover, because a metal roof is known for its reliability, durability, and performance against the harsher climates, it is an attractive attribute that is highlighted by the real estate agents. Thus, if you are looking to get the best return on your investment, then you should definitely install a metal roof for commercial roofing in Fort Worth, TX. Renewable energy is playing a major role in American buildings. Recent research has presented the fact that more than 65 percent of commercial buildings in the U.S. can accommodate solar water heating. If your organization is focusing on solar or thermal energy, then a metal roof will help you to install solar equipment without damaging the structural foundations of your roof. Thus, you should consider metal roofing for commercial roofing in Fort Worth, TX, if your organization intends to power itself through renewable energy. One of the key aspects while looking for a roof is to ensure its durability so that it can withstand the worst of the storms and define your building if there is an unfortunate event. A fire can occur on any roof and can engulf the entire building in its raging flames. This might lead to severe property damage as well as loss of lives. Thus, it is highly critical to choose a metal roof that proves itself in time of adversity. You can ensure it by contacting a reliable service for commercial roofing in Fort Worth, TX, who can select the best metal roofing materials for your commercial structure. Some metal roofing materials have ratings that represent its durability in rainstorms and hailstorms. 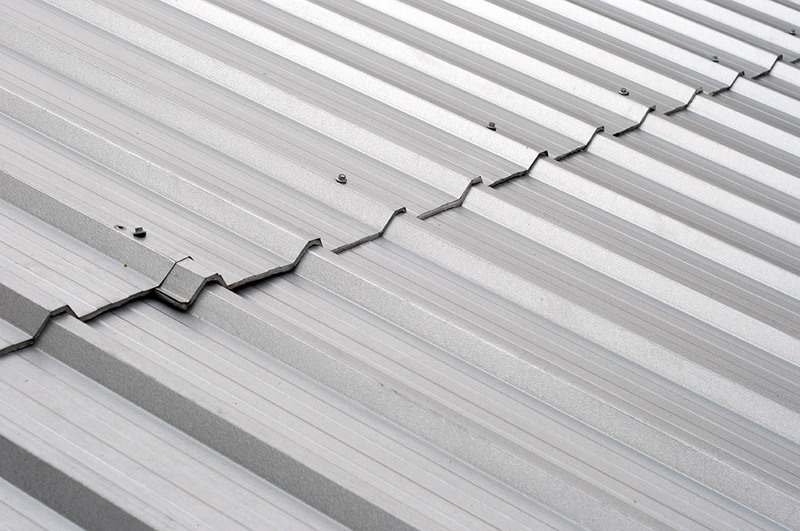 Lastly, as metal roofing materials are lighter, they do not put a worrying strain on your structural foundations. If you are looking for commercial roofing in Fort Worth, TX, to enhance the style of your commercial structure, then metal roofs can be an excellent choice. With a wide range of designs and styles, you can have a modern and chic look for your roof. It comes in all kinds of colors, which can add an elegant touch to your business. With so many advantages through a single investment, metal roofs can provide great value for money. They can be installed as a design in a renovation, as a means to fight against the harsher weathers, or for a variety of other applications. Therefore, contact Longhorn for commercial roofing in Fort Worth, TX. With professionals equipped with extensive knowledge and experience, you will be served with the best recommendations and suggestions for your commercial structure.